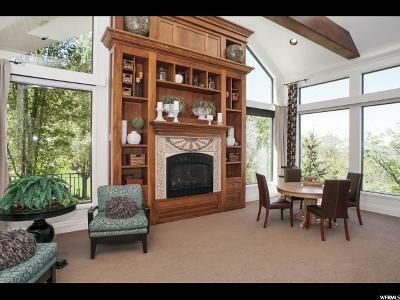 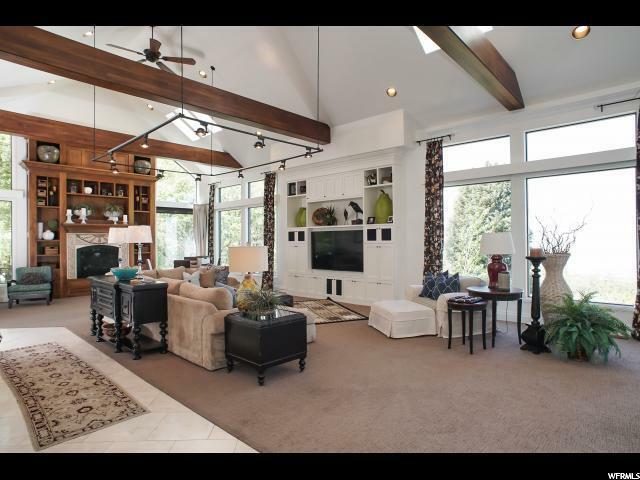 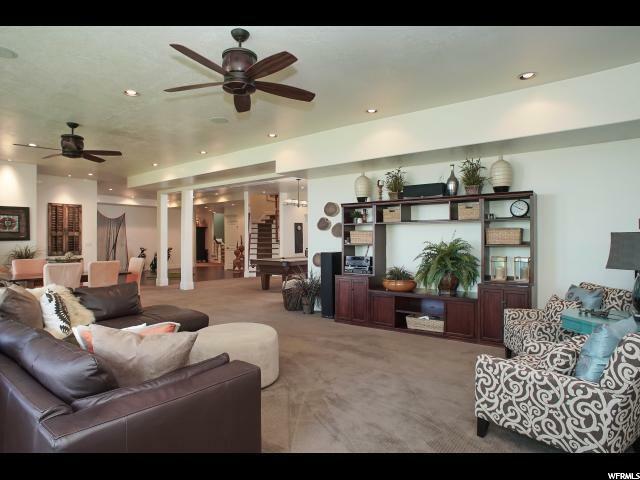 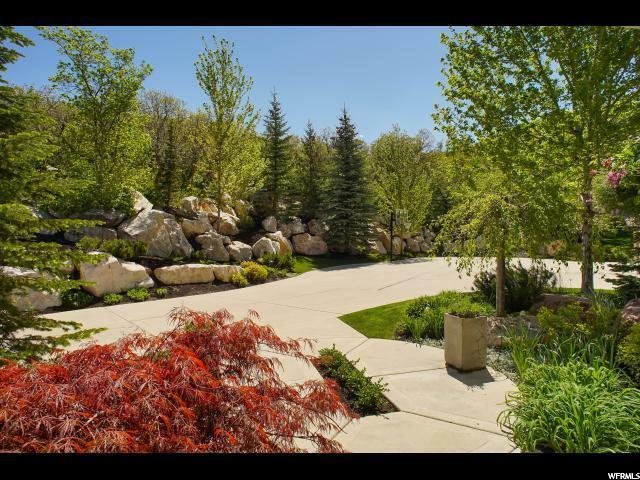 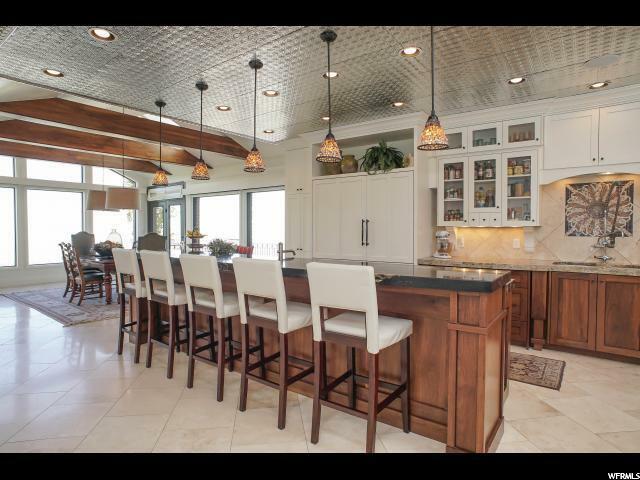 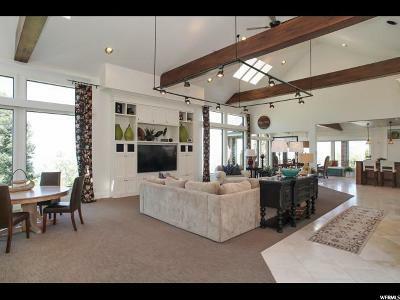 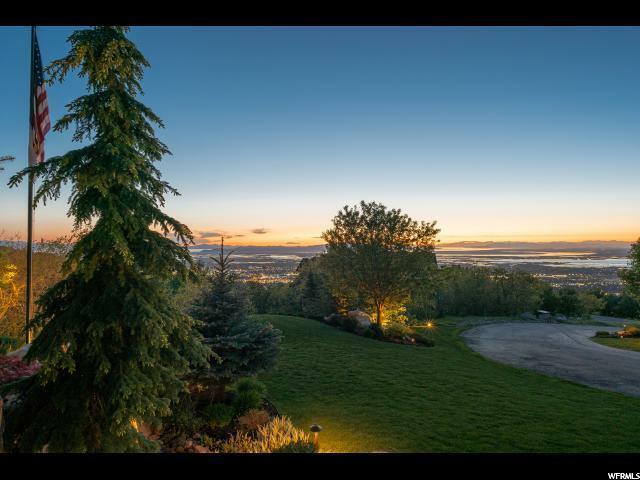 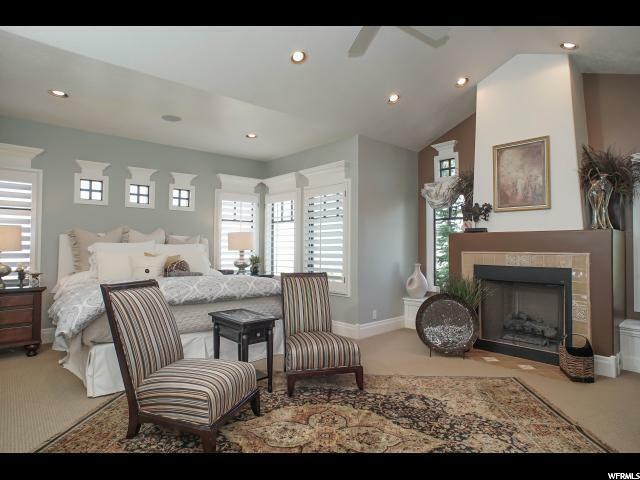 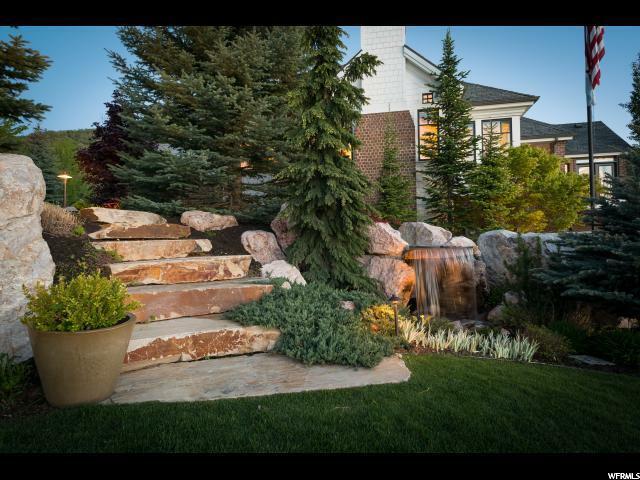 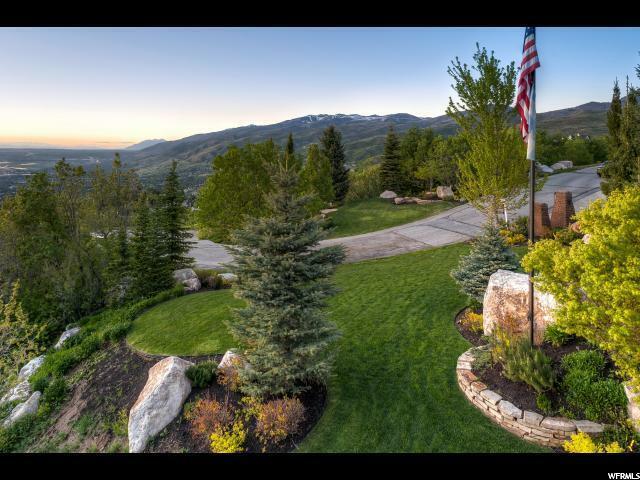 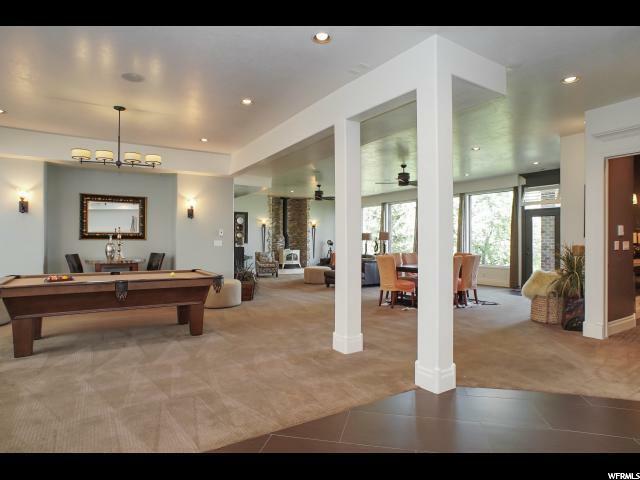 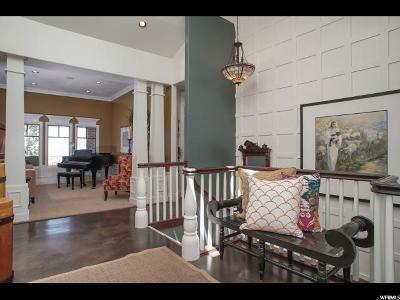 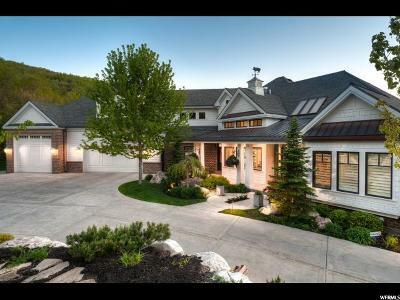 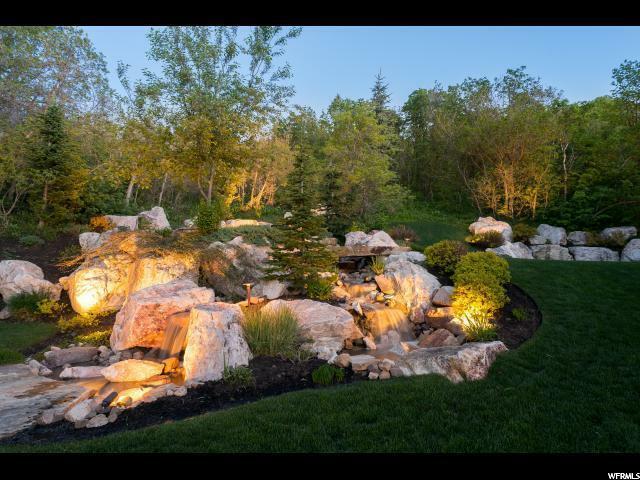 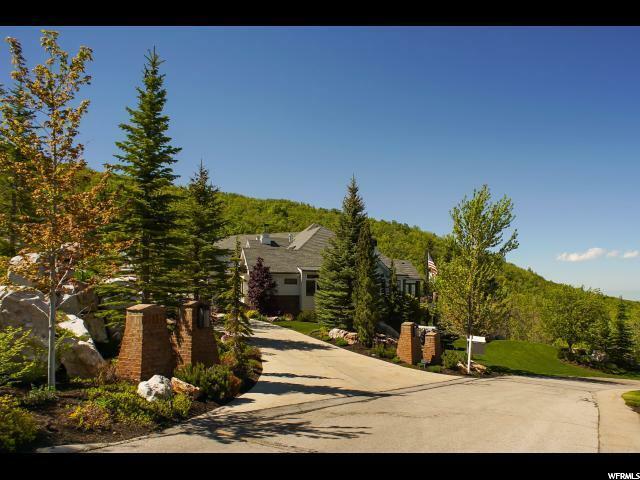 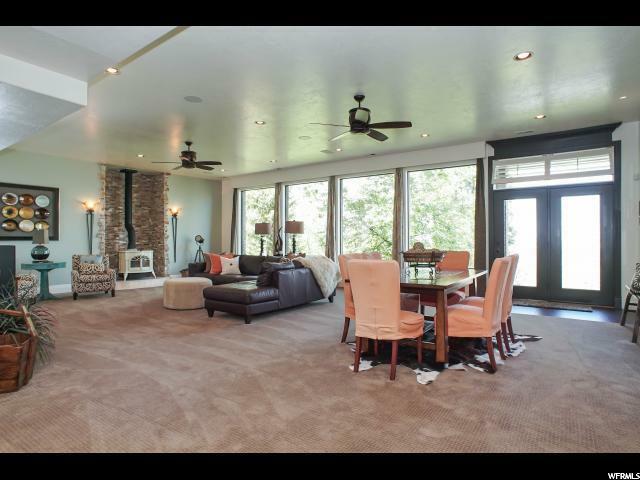 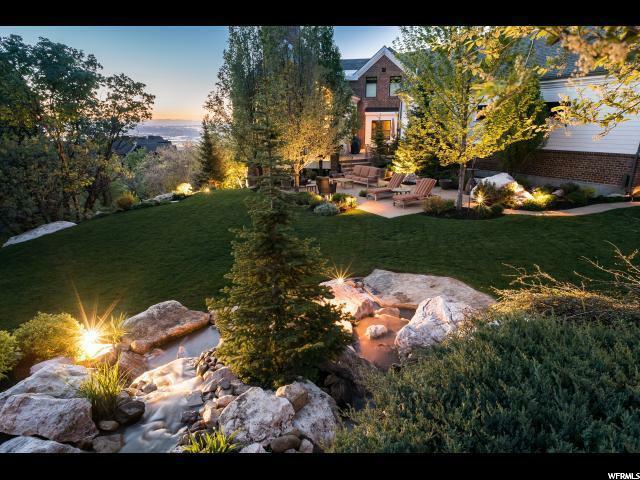 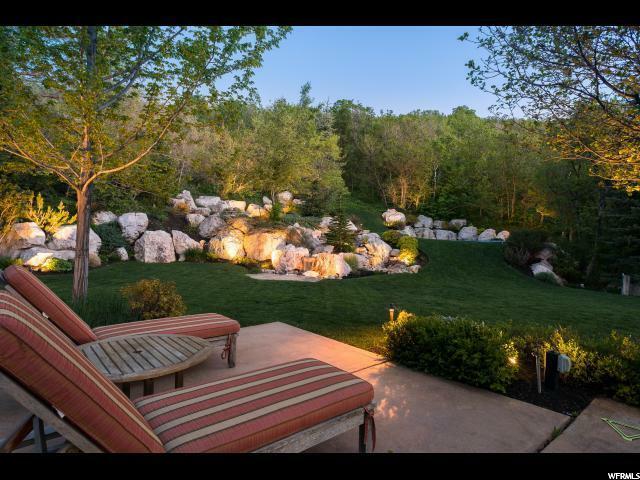 Hidden in the breathtaking and majestic hills of Bountiful, 20 minutes to downtown SLC or the SLC International airport is this masterfully crafted one-of-a kind custom built estate, in the prestigious Maple Cove development. 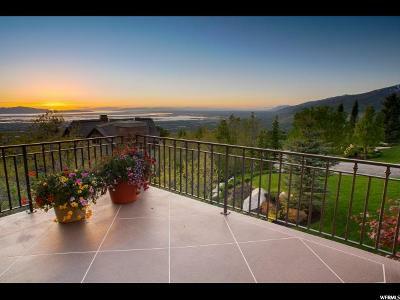 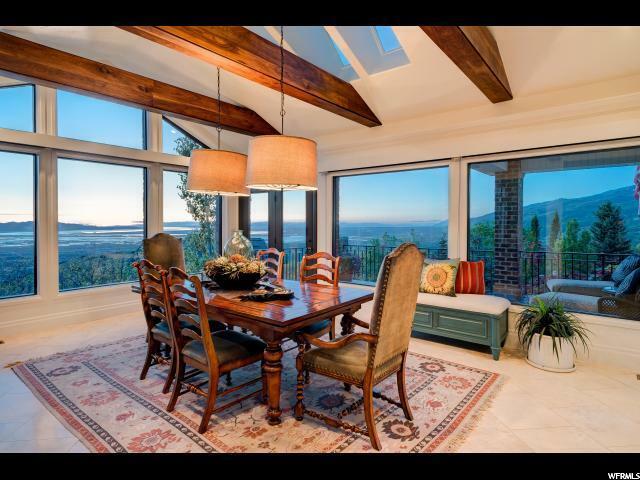 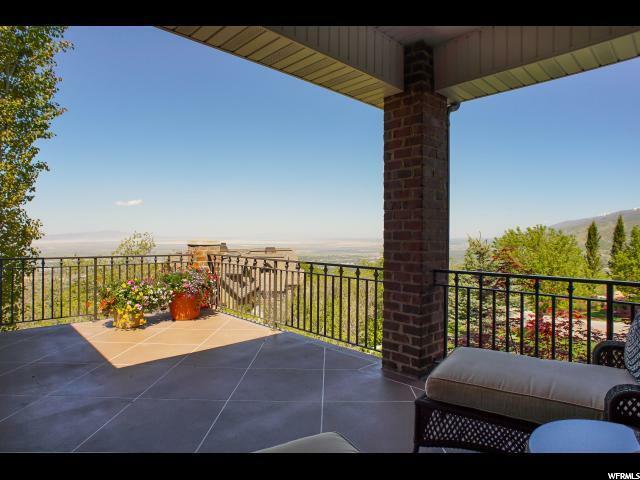 Panoramic views of lakes, mountains, and city lights from nearly every window! 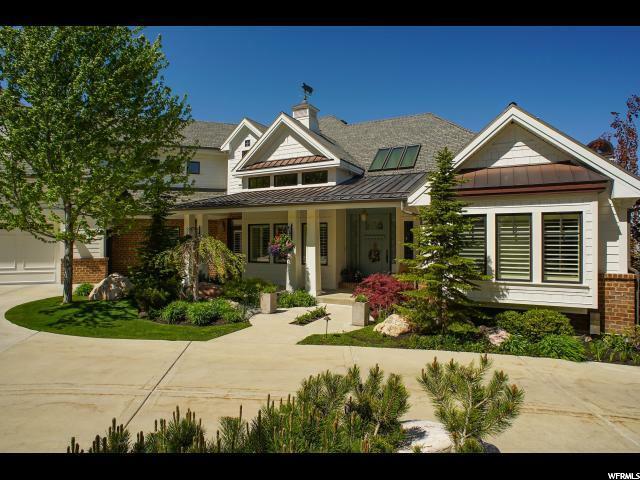 Quality built and personal residence of a well respected Commercial Builder. 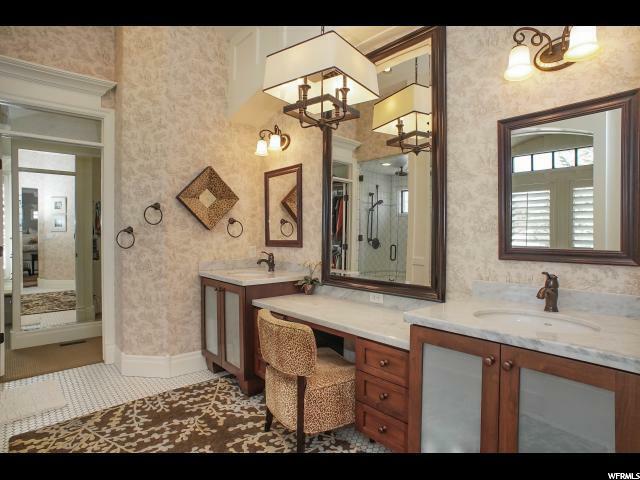 Professionally designed and decorated throughout. 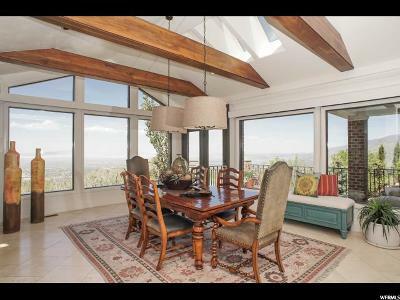 Accessed by a private lane surrounded by pine trees and scrub oak, this home is nestled on a flat portion on over 2.5 serene and private acres. 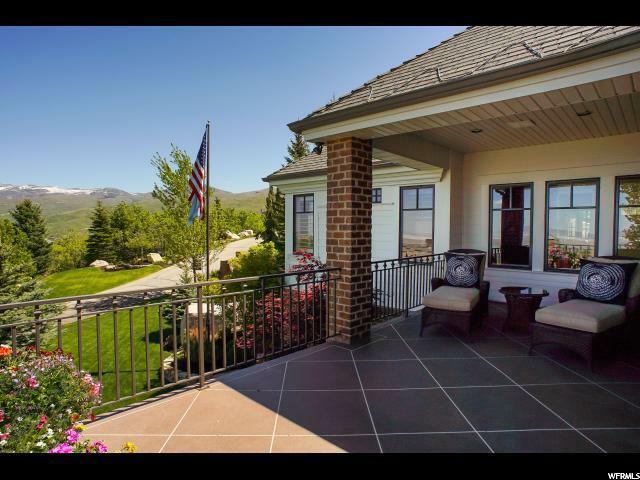 With over 5 patios, 2 decks (1 heated), it is an entertainer&apos;s paradise. 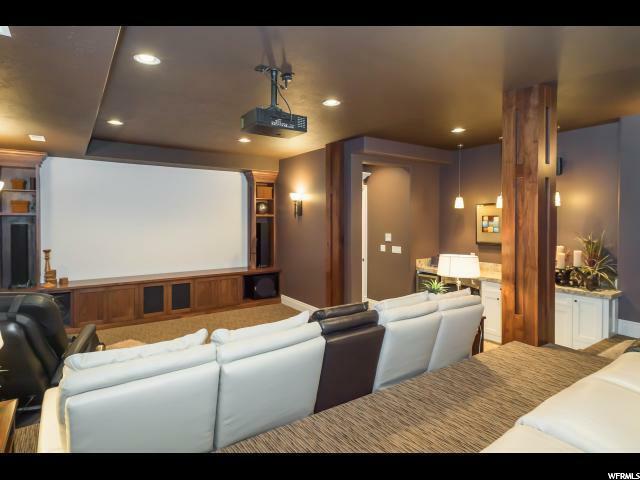 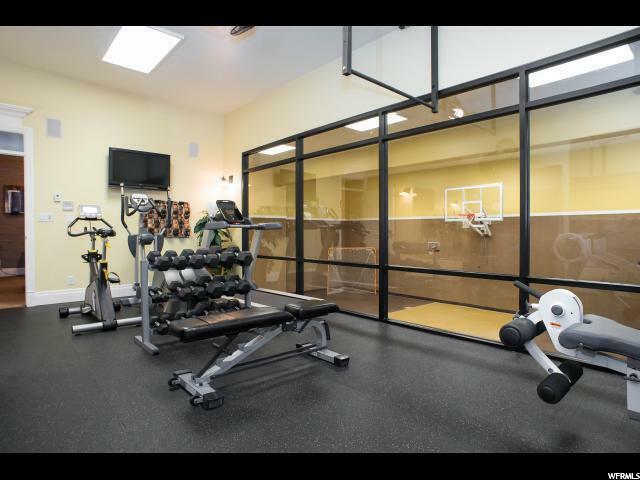 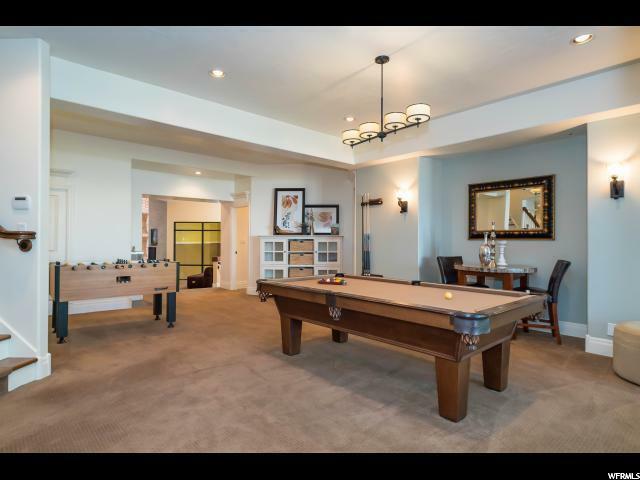 Two enormous great rooms with fireplaces, pool table and fusball areas, a stunning home theater, kids gaming area and home gym overlook the indoor basketball court. 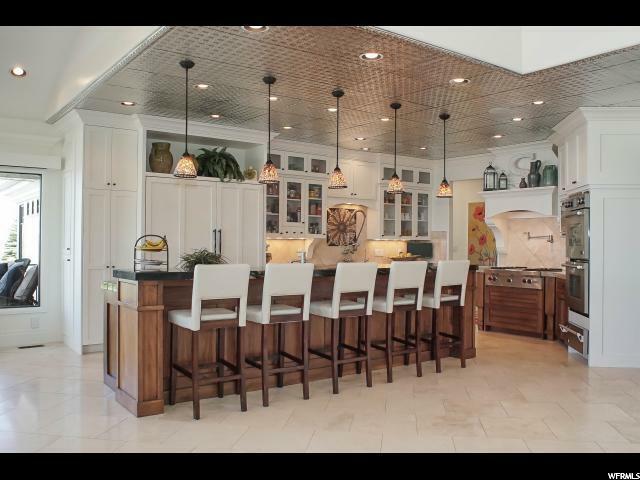 The open concept gourmet kitchen is a chef&apos;s delight with top of the line appliances, Subzero refrigerator, warming drawers, ice makers, double ovens, pot fillers, etc..etc.. Skylights throughout this home only enhance the oversized picturesque windows and sliding doors throughout. 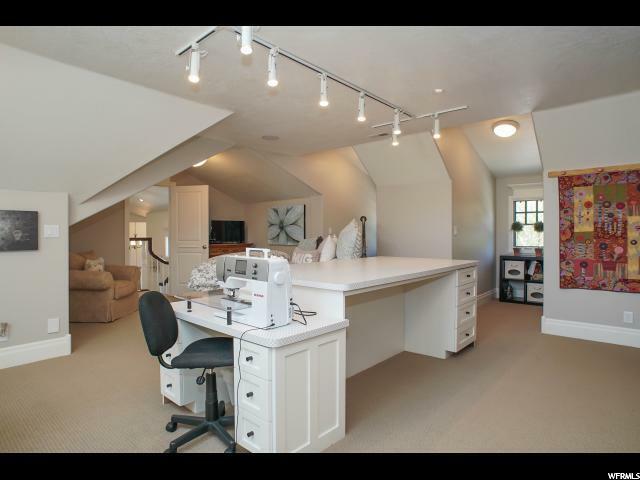 A women&apos;s office in the center of the home as well as an upstairs sewing/craft room could double as nanny quarters or a mother-in-law apartment. 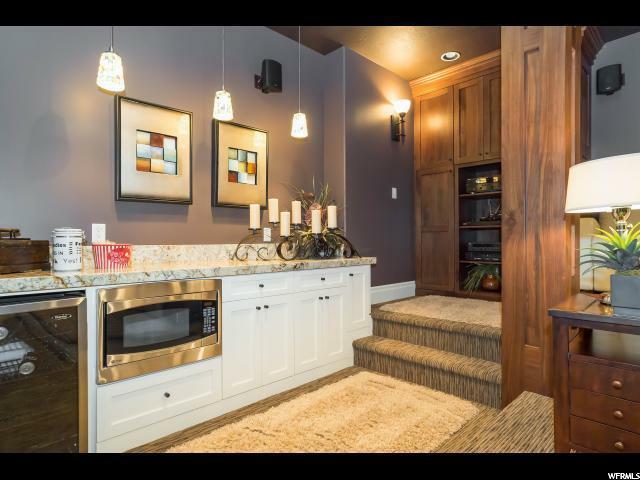 Main floor master suite with huge walk-in closet, Over 1900sq ft garage and workspace with walk-up storage on a 2nd level in the garage for all of your adventures. 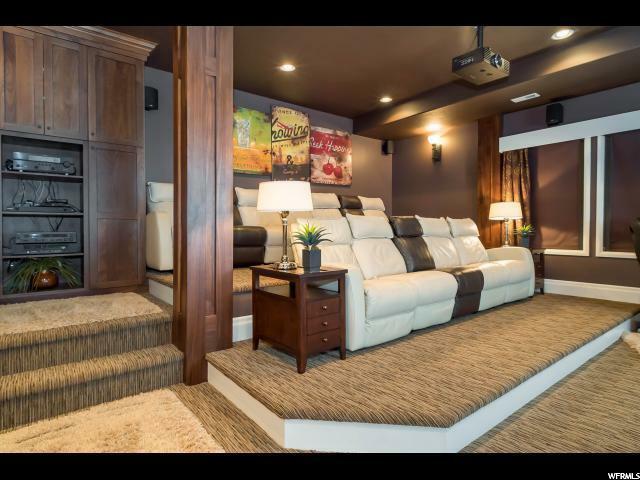 Truly a masterpiece!